Your internship at dmr! | DMR Co.,Ltd. We plan to recruit the best of you. Start with Internship at dmr! 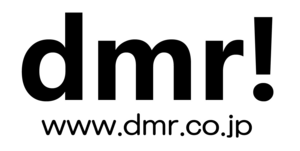 Established in 1988 as a specialty store for imported vinyl records , DMR has made a presence in the Japanese music retail industry. Within the past 25 years , this entrepreneurial business has adapted to the ever-changing situation and in 2011, switched its core merchandise from records to music equipment. Now, DMR continues to evolve as a provider of innovative web services and mobile applications. LONG TERM INTERNSHIP at DMR Co.,Ltd. As an intern at DMR, one will have the opportunity to gain experience in all aspects of business and see firsthand how an entrepreneurial business, specifically, must run in order to survive in a competitive industry. The intern will work closely with managers, directors, and even the CEO to make a noticeable difference in the company. As such, the intern is encouraged to give his/her own product and project suggestions. Please prepare and submit the following application documents. There is no prescribed format for the application documents. In your resume, please provide a contact number and email address at which we can get in touch with you at any time. If you are a foreign national, please mention in your resume whether or not you have a working visa. Application documents can be submitted either by email or by post. To the Recruiting Manager, DMR Co., Ltd. If you send the application documents as an email attachment please use PDF or Word format. We will inform you whether or not you have passed the screening by phone or email within one week of receiving your application. The preliminary screening involves an aptitude test and an interview. The interview will be with the head of recruitment and the manager of the division to which you are applying. We will inform you whether or not you have passed by phone or email within one week of your taking part in the preliminary screening. We will give those who pass the preliminary screening an assignment to complete. We will have you create a report, and submit it within two weeks. As for the submission of application documents, please send your report by post or by email in advance of the secondary screening. You will present your report at the secondary screening. The secondary screening involves the presentation of your report and an interview with one of our directors. We will inform you whether or not you have passed by phone or email within one week of your taking part in the secondary screening. An interview with our CEO. We will inform you whether or not you have passed by phone or email within one week of your taking part in the final screening. Candidates receiving a provisional offer will be contacted by our recruitment manager regarding employment. In your first month with us, you will take part in a training program. The probation period lasts for six months. We will give those who pass the document screening an assignment to complete. As for the submission of application documents, please send us your report by post or by email in advance of the preliminary screening. You will present your report at the preliminary screening. How long is the program? Would it be possible to shorten/extend the length? The program is six months. Only under extenuating circumstances may the program be shortened to five months. Due to the length of the visa, the program cannot be longer than six months. On what projects can an intern expect to work? This depends on a few different variables, such as language ability and interests. Contrary to many internship programs, the dmr! internship program allows interns to make a real contribution to the company’s development. Is there the possibility to be hired upon completion of the program? It is possible to be hired as a full time employee upon completion of the internship program. Please note that in such a case, the visa type would need to be changed. This process may take a considerable amount of time. How early should I apply for the program? If you are applying from outside the country, we recommend that you apply at least three months before your intended arrival date to allow time for the visa procedures. Does the company provide housing? dmr! does not provide housing, however, we are willing to help you find a place and can recommend places previous interns have stayed. Does the company sponsor visas? We do sponsor work visas for those who require one. Does the company provide healthcare insurance? The company does not provide health insurance. Those with permission to stay in Japan for a year or longer are required to join the National Health Insurance program (国民健康保険), so interns will not need to as their visa is only valid for six months. I am a vegetarian. Is it easy to find vegetarian dishes in Japan? While it is possible to continue a vegetarian diet in Japan, it can be harder and more expensive to follow a strictly vegetarian diet. Many foods in Japan contain some sort of meat, fish or meat broth, so if you are vegetarian please keep this in consideration. I don’t speak Japanese. Is it necessary? While it is not necessary to speak Japanese for certain projects, communications within the company are primarily conducted in Japanese. Similarly, daily life outside work may be difficult without some grasp of the language. For those who are willing to learn Japanese, we will support it in many ways. through the use of a language exchange social networking website, Lang-8. Please expect at least 2 months for the preparation (VISA / accommodation etc.) from the date of application untill you will be able to start working. recruit[at]dmr.co.jp When sending us an email, please use “@” instead of “[at]”.